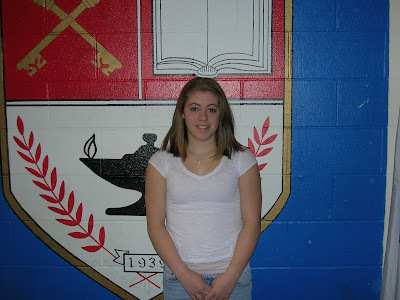 Leighann is helping the Girls’ Gymnastics team achieve their 4-0 record the winter season. Her performances on all four events have earned her All-Around scores as high as 36.1. In the Lady Devils’ meet against Melrose, Leighann received a 9.3 on the balance beam, a personal best for her and one of the highest scores ever received by a BHS female gymnast. She helped the girls’ team beat Melrose for the first time in 10 years. Leighann is a captain and a key player again this season. She demonstrates incredible skill level, confidence, and competitiveness in every competition. Leighann is making history at BHS this winter season.